My old college friends are here for a visit this week and of course they arrive on the first cloudy day in two weeks. This morning we had planned on making my creamy tomato tortellini soup, but by mid-afternoon the sun finally came out and it was evident that soup was inappropriate. 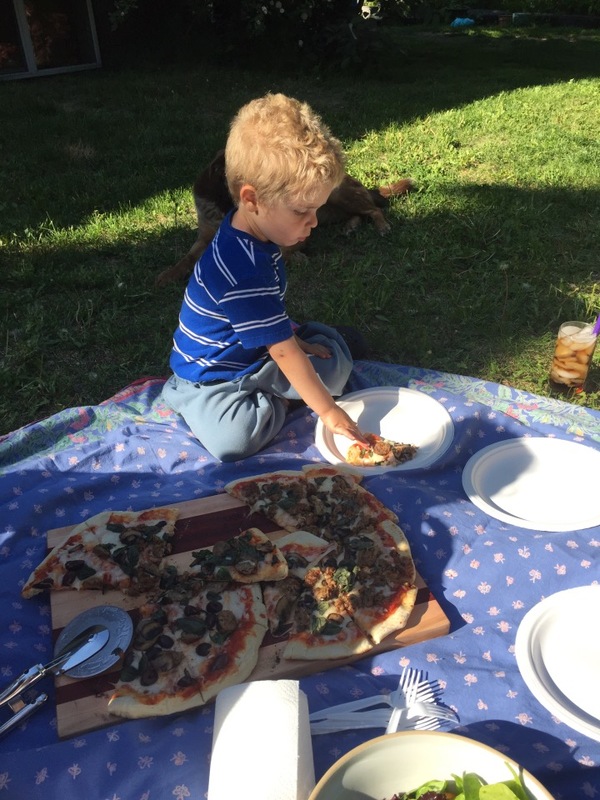 We decided on pizza on the grill. This is a dish my mom is an expert at preparing. She makes the dough from scratch, but we didn’t have the time. I discovered that my grocery store sells balls of pizza dough in the bakery section for just $3. This makes pizza a quick, easy dish. Good pizza tends to be cooked in a really hot oven and my oven just doesn’t get hot enough. My gas grill, though, can heat up pretty well. 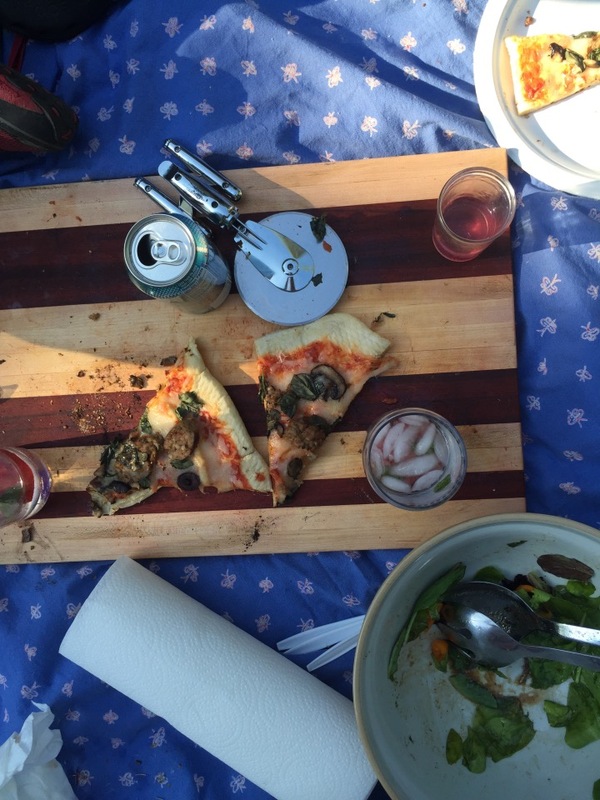 Pizza on the grill is easy and the crust comes out wonderfully crispy. 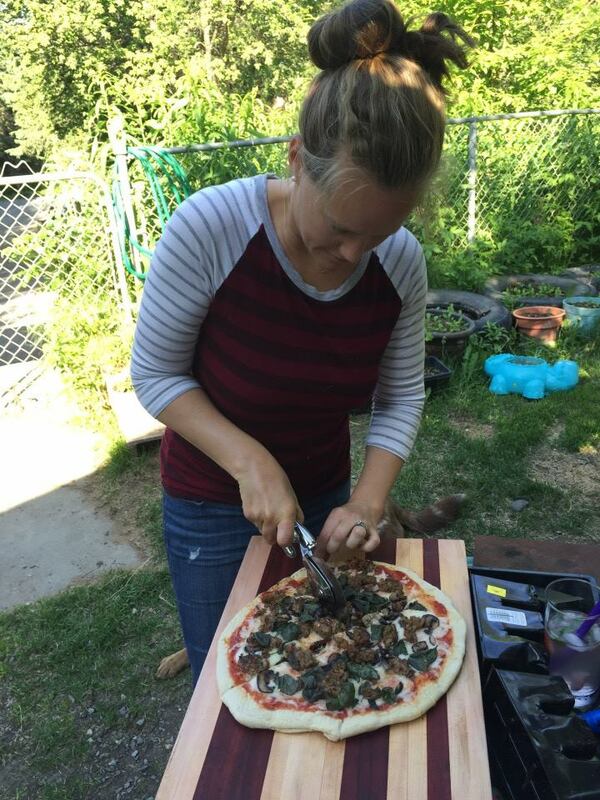 The secret is to use a pizza grate, which looks a bit like a fan filter and only costs a few bucks at a restaurant supply store. 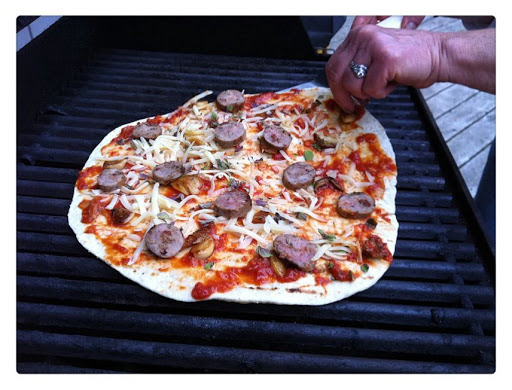 The other secret is to grill the rolled out dough on one side before adding the toppings. toppings of choice such as Italian sausage, mushrooms and Kalamata olives. Let the dough sit at room temperature for 30 minutes. Heat gas grill to hot for 15 minutes. Turn down burners to medium-hot. Flour and roll out the dough till it’s pizza size and place on pizza grate. Place on the grill and close the grill for about 3-5 minutes, until the side down is browned. Flip and remove from grill. Add tomato sauce, cheese and toppings and place back on the grill until cheese is melted and bubbly, about 5 minutes and bottom of the pizza is browned. 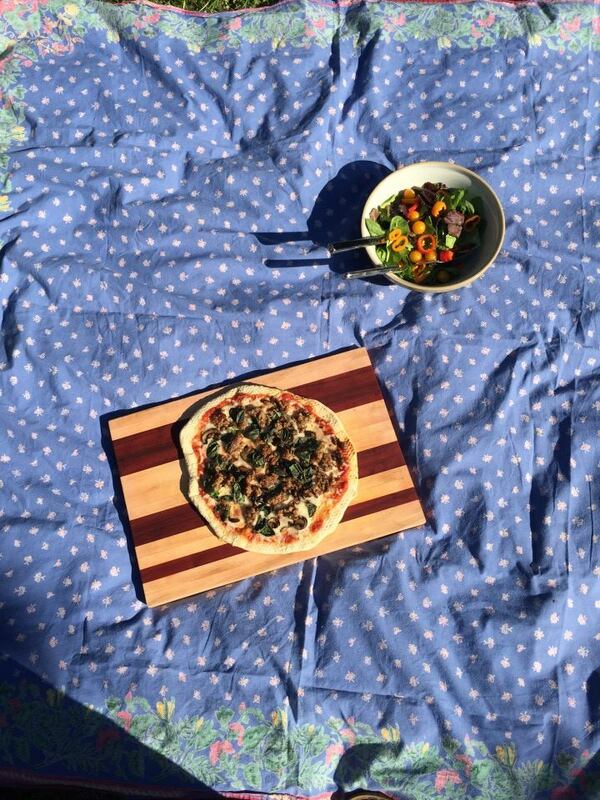 Slice and serve with a simple garden salad.